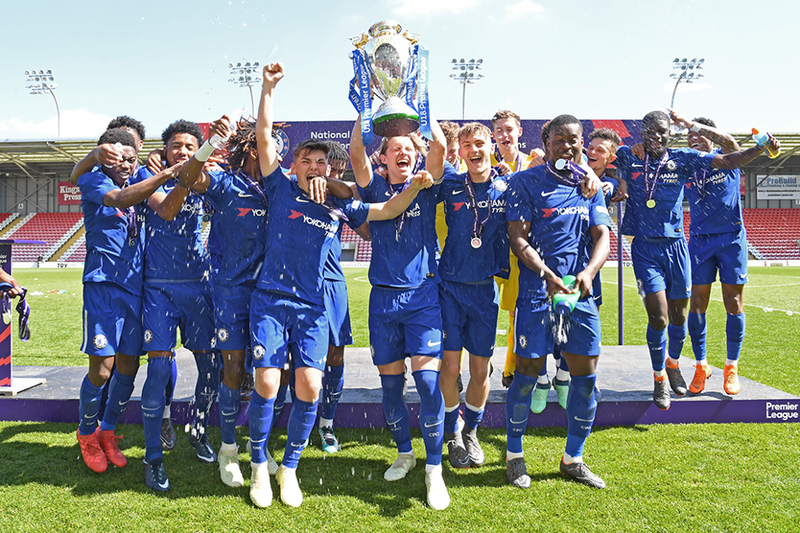 The Under-18 Premier League replaced the Premier Academy League at the start of the 2012/13 season with the aim to enhance youth development and help transition players between the Academy and first team. Fulham were champions in the competition’s first season, beating Reading 3-0 in the final at Craven Cottage. Everton won the 2013/14 title, defeating Manchester City in the final at Goodison Park. Middlesbrough were crowned 2014/15 champions after winning five of their seven final phase matches in Group 1, and Man City only dropped two points in the final stage as they won the competition in 2015/16. The 2016/17 competition was won by Chelsea, and the Blues defended their title in 2017/18, in a newly-formatted League. The 12-team North and South Groups remain, but the two regional division champions will play in a national final for the U18 Premier League title. The one-off tie will be held at a main stadium. In total, 24 clubs compete, with each of the clubs having applied for Category One status. There are nine clubs from the Premier League and 15 from the Championship. The 24 clubs are split into two regional groups, the North Group and the South Group. Clubs will play each opposing team in their regional group twice, home and away. For the overall title, the North Group and South Group winners will play in a one-off national final at a main stadium. Clubs are not allowed to field any outfield players outside the Under-18 age category. However, the goalkeeper is permitted to come from the Under-19 age category.